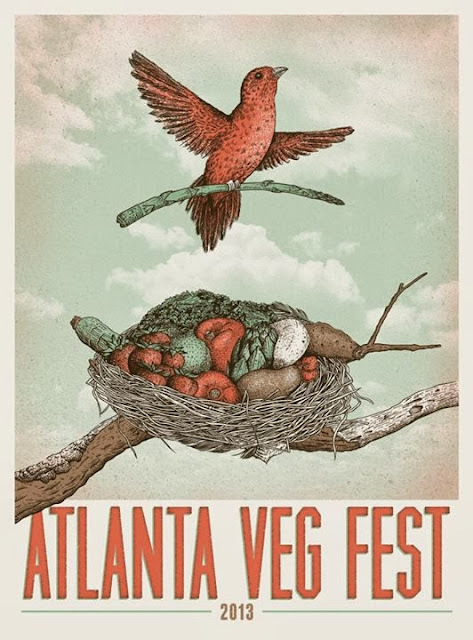 The Atlanta Veg Fest is run by a group of people who are passionate about bringing the local community together and educating the public on the benefits of a vegan lifestyle. On Saturday, November 9 they will be holding their second annual Atlanta Veg Fest at Le Fais Do-Do in West Midtown. The free event promises something for everyone with food samples, cooking demonstrations, kids’ activities and dozens of exhibitors. There will also be presentations throughout the day by internationally recognized speakers, including Isa Chandra Moskowitz, Annie and Dan Shannon, Victoria Moran and Fran Costigan. The first 300 people through the door will receive goodie bags loaded with sample products and coupons. Vegans, vegetarians and the veg-curious are all encouraged to attend. We hope to see you there!